Romans 12:12 - "Be joyful in hope, patient in affliction and faithful in prayer." Why is it Imporant for You to be in Prayer for our Schools? Our public school system is under attack. The media is filled with stories about students killing students, young people committing suicide, and gangs and drugs becoming the norm in our students' lives. Agendas within our legal system and privately developed curriculum are threatening our rights as Christians and veering further from our biblical worldview Biblical worldview refers to a person's beliefs about life through which a person interprets the world and interacts with it. A worldview is comprised by the answers to four basic questions (1) Who am I? (2) What is my purpose? (3) What is wrong with the world? (4) What is the solution? As Christians, our worldview is formed by the Bible. Through the Bible we learn that God exists (Heb. 11:6) and that He is the standard by which we measure everything else. God created everything that exists (Gen.1:1) and everything is held together by Him (Col. 1:17). We believe the Bible is God's divinely inspired Word, revealed to mankind (2 Tim. 3:16). We believe that the fullness of God came to earth and lived in the human body of Jesus Christ of Nazareth 2,000 years ago (Col. 1:19). We believe that mankind chose to rebel against God in the Garden of Eden and because of that act of rebellion, sin and death entered the world (Rom. 5:12-14). We believe that believing in (John 3:15-19, 5:24), and obeying (Luke 8:21, John 3:20-21, John 14:21, 23-24), Jesus Christ is the only way to have eternal life or to be reunited with God (Acts 4:10-12). . Our educators and students do not just hear about these things on the news, most of them see and feel the effects of our country's moral decline in their current school environment. 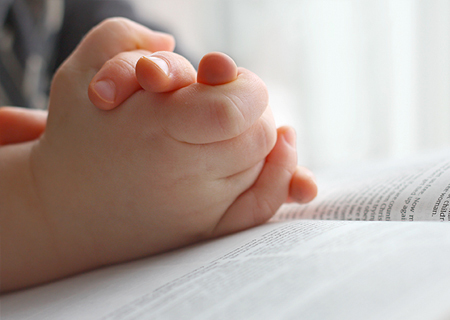 If we really believe in the power of prayer, then we need to find time to pray for our schools. The Bible gives us assurance that if we pray, our God will move mightily. 2 Chronicles 7:14 says, "If my people, who are called by my name, will humble themselves and pray, and seek my face and turn from their wicked ways, then I will hear from heaven, and I will forgive their sin and will heal their land." Our school systems need healing and revival. Prayer isn't the only thing we can do, but it is the most important. Our Christian educators are our missionaries on the mission field of our public schools. They need our prayers to grow deeper in their personal relationship with the Lord, to have wisdom as they face challenges along the way and for boldness to live and share their faith confidently within their school walls. Teachers are under tremendous pressure and are spread very thin. They need our encouragement, support, and cooperation and, most importantly, they need us to intercede on their behalf. Joshua 1:9 says, "Be strong and courageous, do not be afraid and do not be discouraged, for the Lord your God will be with you wherever you go." Let us pray for God-given strength and courage for our educators, that they do not become discouraged but feel God's presence with them and within their classroom. When ungodly decisions rule a nation, the moral decline is on the march, especially in the lives of our children. But God's power is released as we pray. "Blessed is the nation whose God is the Lord, the people He chose for His inheritance." (Psalm 33:12) We need to pray for our students that they will be protected from the evil and lies of the enemy, that they will connect with Christian community within their school for accountability and support, and that they will listen to God as He prompts them to live and share their faith boldly. Compass provides a weekly opportunity for corporate prayer for our schools, as well as educators, families and students in the public schools. We also encourage involvement in Moms in Prayer, an international organization that connects moms and grandmas at the local school level for prayer. To join or start a Moms In Prayer group in your school go to https://www.momsinprayer.org/.